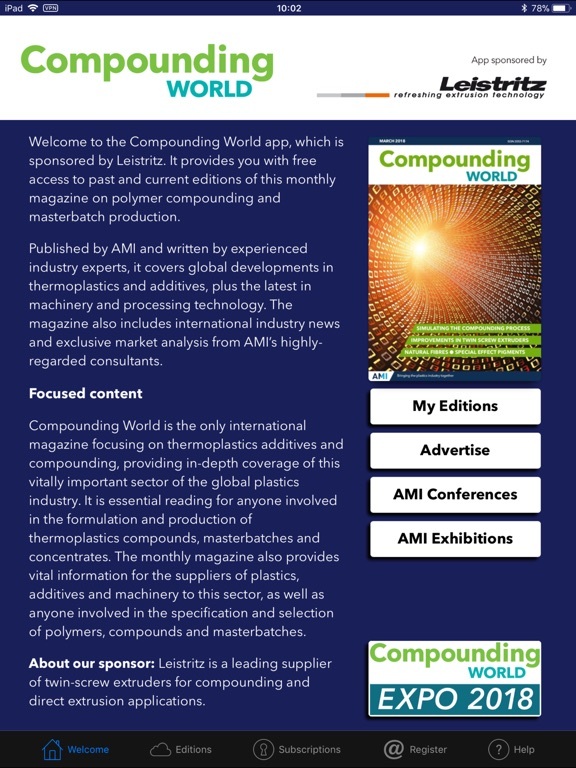 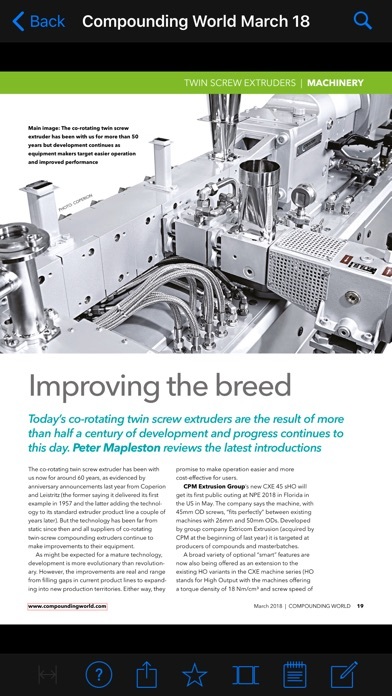 Compounding World is a free monthly magazine for plastics compounders and masterbatch makers. 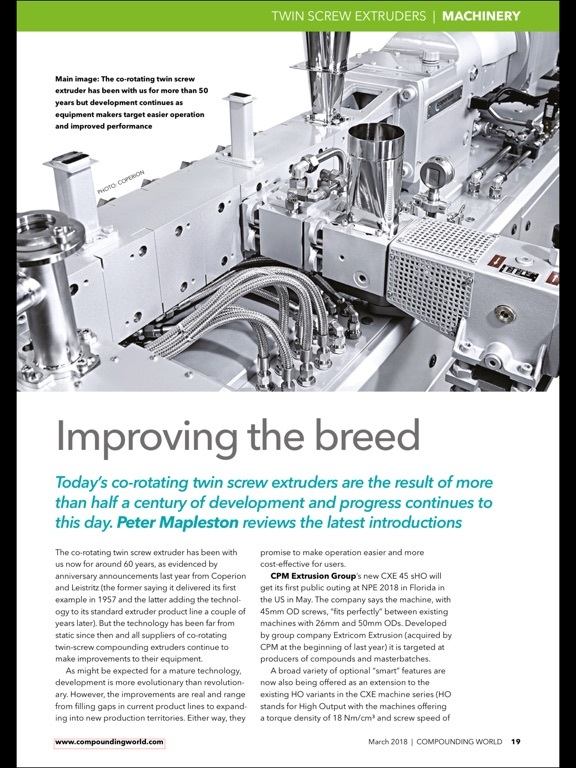 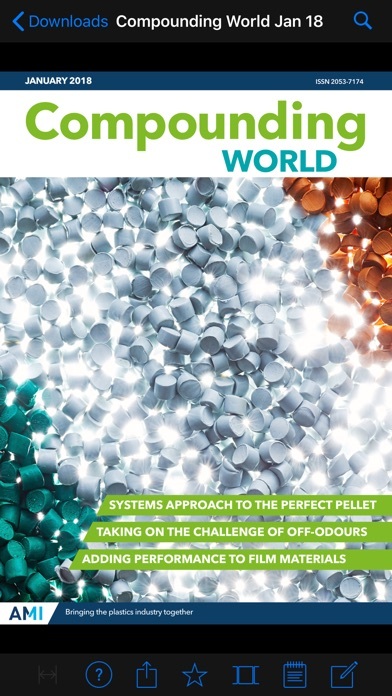 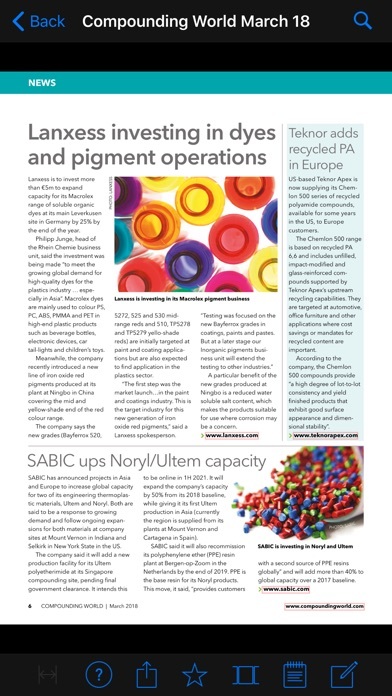 Published by AMI Magazines, it covers the latest developments in polymers, additives and pigments, as well as processing machinery and equipment. 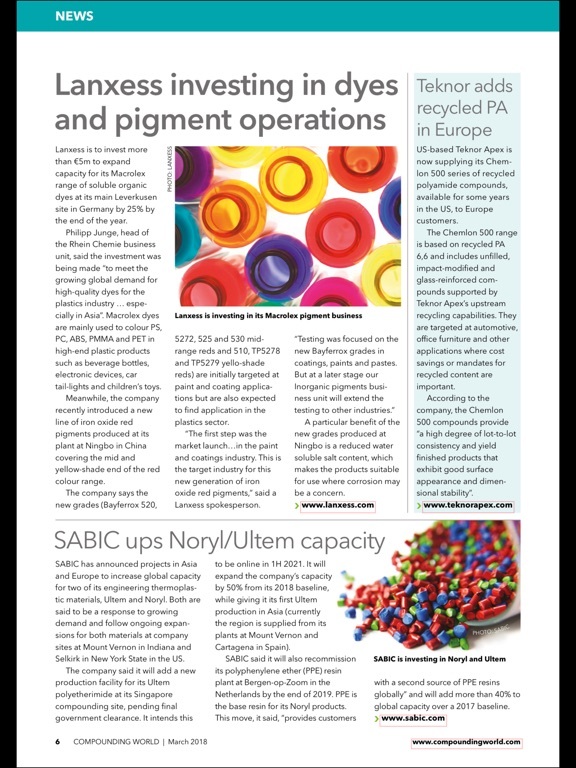 It also includes global business news and exclusive market analysis. 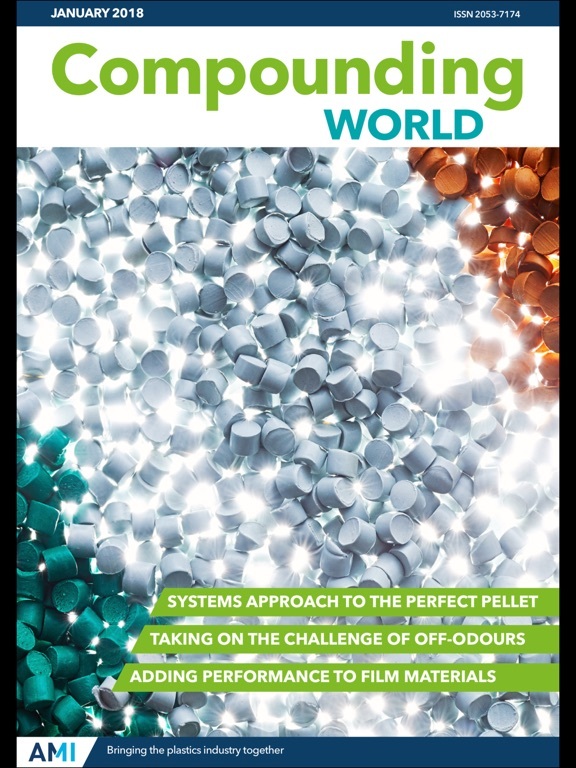 Compounding World is essential reading for anyone involved in the formulation, manufacture or specification of plastic compounds. 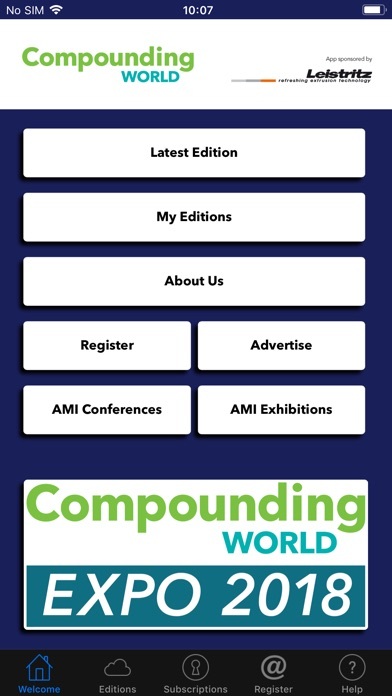 This app provides access to past and current issues free-of-charge.